In Riviera Nayarit Luxury is our nature, and during 2012 it has taken the National Mexican Tourism by storm: the number of Mexicans visiting Riviera Nayarit has rose dramatically and this is why an intense working tour begins trough Guadalajara, Monterrey and Mexico City, October 7-11. 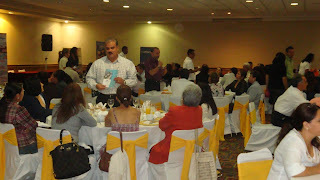 The tour includes seminars with travel agents as well as showcasing the destination for the press, among other things. “We want to reinforce the presence of this destination to the mind of the Mexican Tourist this winter vacation season and we are planning on doing so for the Luxury market. Therefore, we are going on the road, we’re trying to bring a little bit of what it’s like to experience a vacation in Riviera Nayarit to the opinion shapers: the Travel specialists and the Travel Related Media”, explains Marc Murphy, Director of the Riviera Nayarit Convention and Visitors Bureau (CBV). Strategies include meetings between hotel representatives and the travel agents – this time participating hotels include Riu, Grand Velas, Grupo Marival, Four Seasons, St.Regis y Hard Rock Hotels, all of whom have Hotels in Nayarit- during cocktails and gala dinners where Certification Seminars and Trade Shows are offered for the Travel Professionals in each of these cities. Alsoon the menu: Breakfast with the press, a series of “Power- Breakfasts” accompanied with a Q & A session with the Press. By doing so, the CVB, a Non-Profit association dedicated to Promoting Tourism, is reinforcing its commitment to work relentlessly for the Positioning of the Brand “Riviera Nayarit” in Luxury markets which have proven their value and developing strategies for attracting visitors to the whole of the state of Nayarit, imporving social development and economics for all of the People in Nayarit.